The least-developed countries (LDCs) comprise a group of countries that have been officially identified by the UN as “least-developed” in terms of low Gross Domestic Product (GDP) per capita, weak human resources and high degree of economic vulnerability. In 1971, the General Assembly of the UN approved the first list of LDCs, which at that time included 24 countries. In the following years, the number of countries included in the list increased steadily reaching 48 in 1994. The official inclusion of Senegal in 2001 and Timor-Leste in 2003 brought the total of those countries to 50. With almost 11.4 percent of the world’s total population, the current 50 LDCs represent the poorest and weakest segment of the international community. The distinctiveness of this group of countries lies in the weakness of their economic, institutional and human resources, often compounded by geophysical handicaps. Their regional distribution may also be viewed as having a large bearing on their economic growth and development performance. 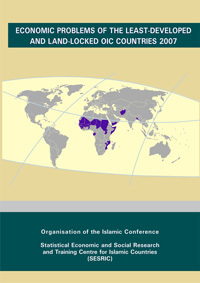 While the majority of the LDCs (34 countries) are located in Africa, particularly in the region of sub-Saharan Africa, 16 are land-locked and 11 are mostly small island countries. Moreover, 34 LDCs have recently been classified as Heavily Indebted Poor Countries (HIPCs) and 28 as non-oil (mostly agricultural) commodity exporters.